The Single Posts add-on will enable infinite scrolling of complete posts on WordPress single post templates. Quickly enable core Ajax Load More functionality on standard posts & custom post type single templates as well as update the browser URL when additional posts come into view – view example. The Single Posts add-on works by using Ajax to append the previous post (in chronological order) to the Ajax Load More container as a user scrolls your website. By utilizing core WordPress functions such as get_previous_post(), get_next_post() and get_the_ID(), the add-on will retrieve the upcoming post ID and then hook into Ajax Load More for the display and rendering of post data. Note: At minimum, some WordPress development knowledge will be required to implement the Single Post add-on on your website. If you are unsure of how to implement or have questions regarding implementation please contact us prior to purchasing. When upcoming posts are loaded and come in to view, the browser address bar will update to the URL of the post currently in view. This functionality is important for users who decide to share a specific post that has been loaded via infinite scroll. 🔥 Did you know: You can Cache single posts to improve site performance! Implementing infinite scroll on a single post template is essentially a two step process. 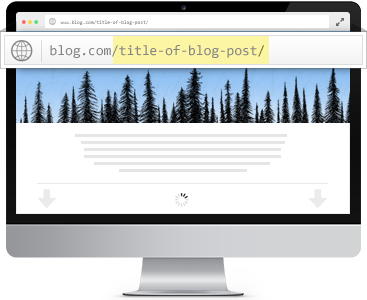 Create a new Repeater Template that will be used specifically for your single post display. This template will include core WordPress functions such as the_title() and the_content(). In most cases the content of the template will be a direct copy and paste from an existing theme template (e.g. single.php). Add the Ajax Load More shortcode directly to your single template .php file using the WordPress function, do_shortcode as seen in the example below. // Replace the entire contents of the WordPress loop with the [ajax_load_more] shortcode. Note: Ajax Load More will take care of loading ALL posts, including the initial post when a user lands on the page. All that should remain in your single.php loop is the ajax_load_more shortcode (as seen above). The following shortcode parameters are enabled then the Single Posts add-on is activated. Note: The single_post shortcode parameters should only be used on single post templates – attempting to implement elsewhere is not recommended. The following screenshot illustrates the process of building a Single Posts shortcode using the Ajax Load More shortcode builder. Single Posts provides users the ability to control the ordering of the upcoming posts by selecting one of the following parameters when implementing an Ajax Load More shortcode. Selecting the previous option will load posts by date in chronological order using the WordPress core function, get_previous_post() – view example. Selecting the latest option will load the latest (newest) post by publish date and continue loading posts by date in chronological order – view example. Selecting the next option will load posts by date in reverse chronological order using the WordPress core function, get_next_post() – view example. The single_post_order shortcode parameter will also accept an array of comma separated Post IDs. This allows users to be very specific about which posts are shown in the infinite scroll list. The shortcode below will load 5 additional posts after the initial post – view example. The out of the box WordPress comments are fully supported and should function as intended with Ajax Load More, however some 3rd party commenting systems require workarounds when being integrated with Ajax. The Single Posts add-on has a custom built-in solution for loading Disqus comments with Ajax. To enable support for Disqus commenting, simply add an empty .alm-disqus HTML element to your repeater template in the location you wish comments to appear – on the empty element you must also pass in your Disqus shortname as a data attribute (as seen in the example template below). The following configuration options will be available on the Ajax Load More Settings screen immediately following installation. Upon purchase of this add-on you will receive a confirmation/purchase receipt email. Your receipt will contain a direct link for downloading your copy of Ajax Load More: Single Posts and a license key. As visitors scroll your website the browser address bar is updated to the URL of the post currently in view. 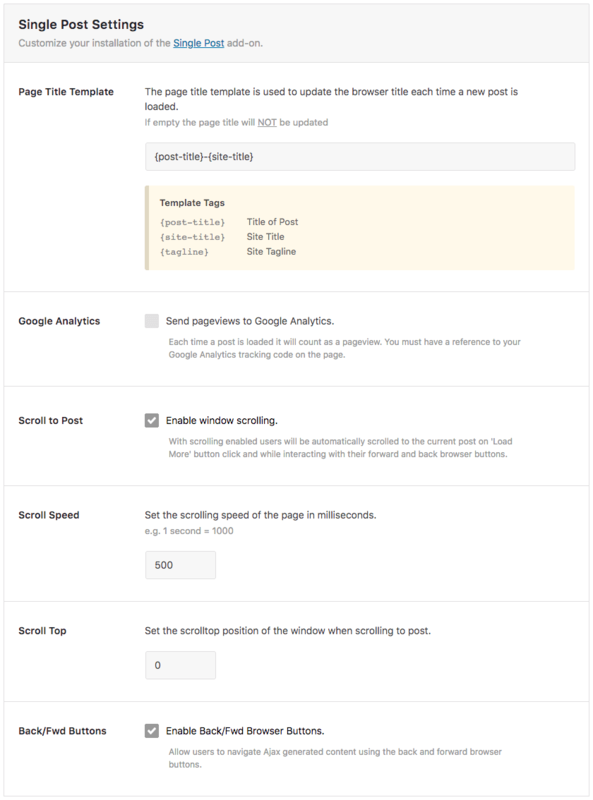 Track user interaction by sending pageviews to your Google Analytics account. 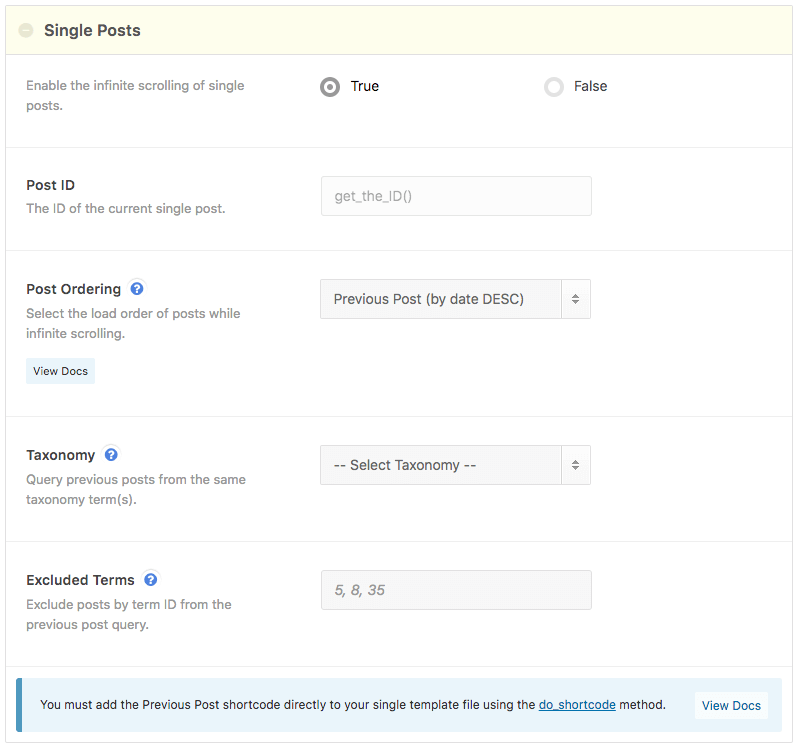 Single Posts is fully integrated with the Cache add-on for caching single posts. Allow visitors to seamlessly navigate through the ajax generated single posts using their forward and back browser buttons. Add infinite scrolling to single post templates for both standard WordPress Posts and Custom Post Types. Below is a list of browsers currently supported by this add-on. Ajax Load More v4.2.0 or greater must be installed. NEW - Adding translation file. NEW - Added update to allow for offsetting first post. Users can now set `offset=\"1\"` in the `[ajax_load_more]` shortcode and render a custom single template before Ajax Load More. NEW - Added new `getOffset` function to more reliably get the correct permalink URL while scrolling. UPDATE - Update Google Analytics Tracking script. UPDATE - Improved scroll to element functionality and URL updates. UPDATE - Removed Scroll Speed function and it has been deprecated. UPDATE - Updated scroll to element function to use core ALM almScroll function. UPDATE - Setting `$wp_query->in_the_loop` and `$wp_query->is_feed` to true for allowing various 3rd plugins to run hooks ion Ajax content. FIX - Fixed a bug where the browser URL would not update if a user clicked the back or forward browser buttons. UPGRADE NOTICE - If you run this update you must also update ALM core to 4.2.0. NEW - Added support for load order single posts by Previous, Next, Latest and ID. UPDATE - Renamed addon to `Single Post` from `Previous Post`. NEW - Added support for the new gtag Analytics script. NEW - Added new `Back/Fwd Buttons` global setting that will enable/disable pushstate from hijacking the browser back/fwd buttons. UPDATE - Updated cache URL parameters when using Cache add-on with Previous Post. NEW - Added support for excluding categories from the previous post query. `previous_post_excluded_terms=\"23, 76, 90\"`. NEW - Added support for Disqus comments. When activated, Disqus comments will load via Ajax on post currently in view. Requires ALM 3.0.1. FIX - Fixed issue in PHP 7.1 where $data array was being initialized as a string. UPDATE - Updated plugin updater script. UPDATE - Force is_single() and is_singular() to be true in the ajax call. This will fix issues with some themes that depend on these functions to be true for certain functionality. FIX - Very small maintenance update that fixes issue with posts not rendering in preview mode. UPDATE - Updating URL passed to Google Analytics. UPDATE - Adding Google Analytics support for Yoast GA (__gaTracker()) function. FIX - Fixing php error with calling function in Theme Repeater add-on. NEW - Adding new \'previous_post_taxonomy\' parameter to allow for querying posts within same taxonomy. NEW - Adding new $.fn.almUrlUpdate(permalink, type) callback function. Dispatched after a URL change. UPDATE - Enqueue Previous Post JS only if Ajax Load More shortcode ([ajax_load_more]) is active on current page. BUG - Fixed issue with fwd and back browser buttons. In webkit browsers the user was not moved to the previous/next post.